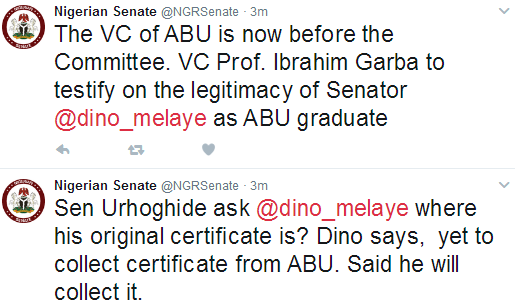 Dino Melaye graduated from ABU with Third Class, says VC – Royal Times of Nigeria. 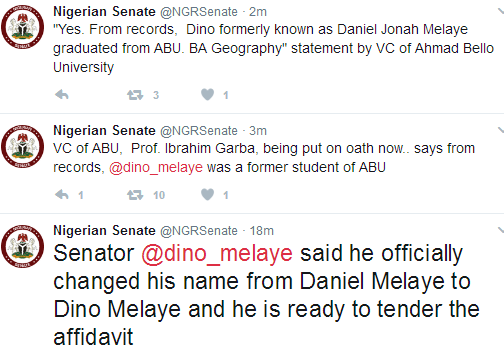 The Vice Chancellor, Ahmadu Bello University, Prof. Ibrahim Garba, has told the Senate Committee on Ethics, Privileges and Public Petitions that the senator representing Kogi West Senatorial District, Dino Melaye, formerly known as Daniel Jonah Melaye, graduated with a 3rd class in Geography in year 2000. He said this while appearing before the panel at a hearing on Melaye’s certificate scandal. 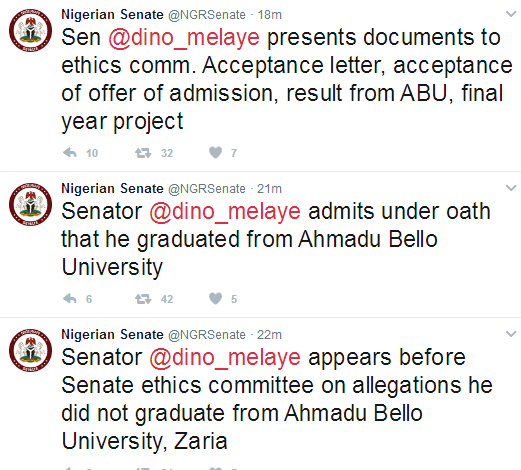 The commttee is investigating allegations of fake certificate from the school leveled against Dino by Sahara Reporters.